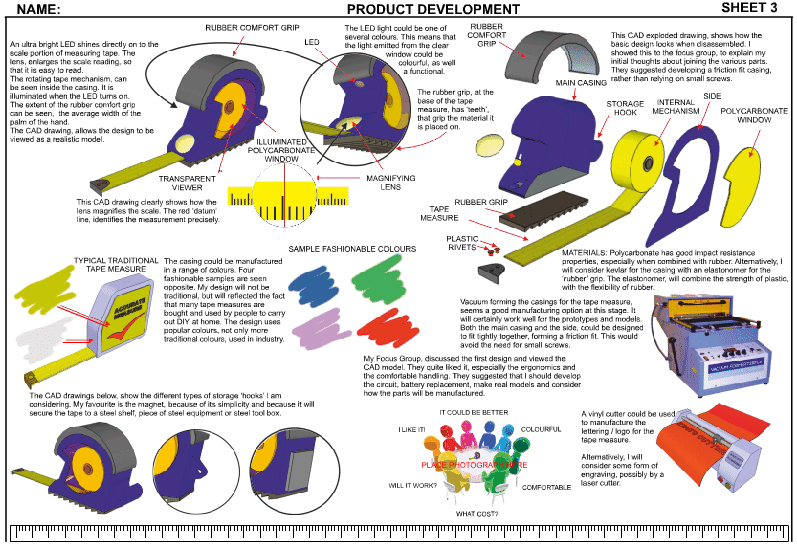 The third development page, shows the continued development of the tape measure. This page has a number of CAD designs, although it is still early in the development section. New suggestions / ideas for the tape measure are limited. This page concentrates on how the tape measure goes together and the reaction of a focussed group to a CAD model. More detailed designs have been produced using CAD. This allowed the focussed group to view a detailed model. In client and focus group meetings, the design can be rotated, disassembled. It can be projected onto a large screen, enabling all to see the design close up. Colour schemes can be tried out, applying colours immediately to the model. This allows immediate feedback from the focussed group. With CAD it is possible to zoom in, to see minute detail. One of the views below has been used on the third development sheet. 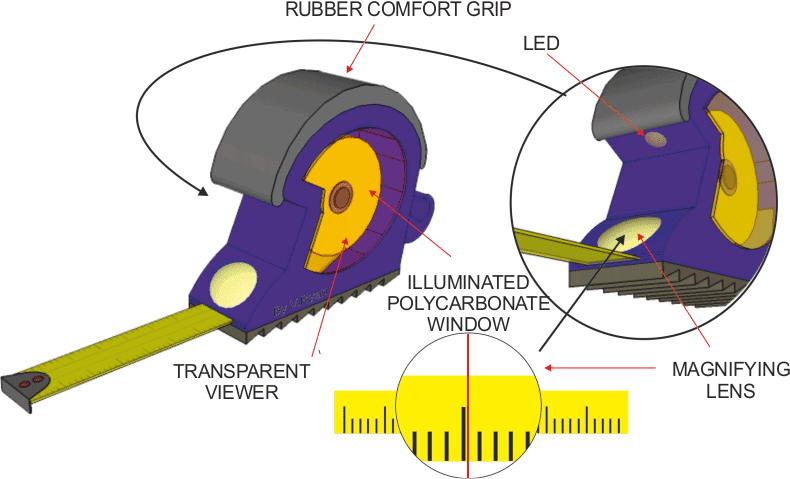 However, the power of CAD, means that the tape measure can be rotated, to provide a different view. The colour scheme has been discussed on the new development sheet. Possible manufacturing processes have been investigated, in a general way. More specific materials are mentioned, such as elastonomers and the properties that make them suitable for this product.